After Rene Cossitt completed his French education at the University of Paris, he was sent to Oxford, England for further study. On his return to France in 1711, his ship, The Neptune, was not allowed to land on the French coast. While watching for an opportunity to land, they were met by another ship from France bearing his father’s family on their way to Canada. The two ships were in company for some time and on one occasion, his brother Francois transferred from the other ship to the one that Rene was on for a visit. 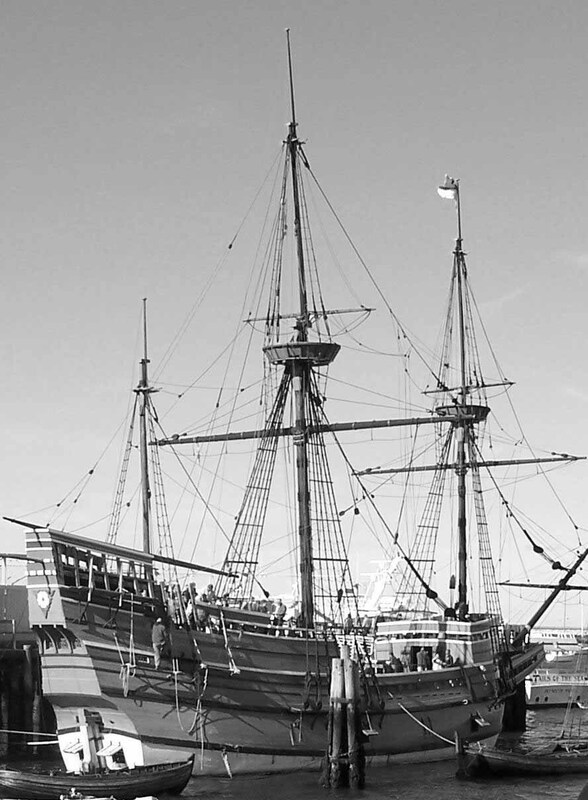 During some festivities on this ship, it was attacked and captured by an English war vessel. They were transported to Middleton, Connecticut and released on parole. The other vessel bearing the remainder of the Cossitt family escaped and went to Canada. 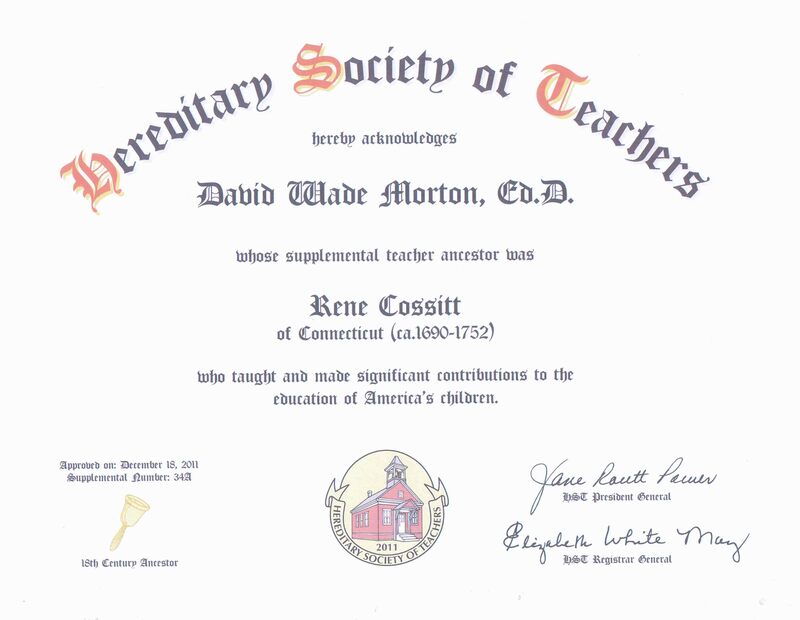 While in Connecticut, Rene taught French in school to support himself and his brother. Francois joined the family in Canada after cessation of hostilities between England and France in 1713. Eventually he met Ruth Elizabeth Porter, the daughter of Richard Porter, a prominent man from Farmington, Connecticut. Ruth agreed to marry Rene on the condition that he never return to France. They were married in April of 1717 and Rene kept his promise and never returned to France. Shortly after their marriage, they moved to Simsbury (now Granby), Connecticut where they bought land and started their family of 5 sons and 3 daughters who were born between 1718 and 1736. This version of Rene's voyage to America comes from from The Cossitt Family, A genealogical History of Rene Cossitt (1879) by Pearl Steele Cossitt A.M. and continued to 1925 by Frederic White and Frederic Stebbins. *This long time story was believed to be factual until research starting in 2010 may have proved it to be incorrect. See "Where was Rene born? ".